Warning: It has come to my attention that I have written what appears to be a small book about this computer and do so apologize if my long form article does not hold your restless brain for its entirety. It won't hurt my feelings if you decide to leave and come back -- just try not to fall asleep because then my "Time Vistors Spend on Website" numbers will become grossly skewed (just kidding). I would also like to take this opportunity to caution you about the content of this post. It's not too often someone hands me a brand new computer and asks, "What do you think? ", which means I am definitely going to be using this rare opportunity to the max. In other words, prepare to get "techafied" and make sure to have your nerd hats on tight!......Also, if you've been wondering what I've been working on all this time between posts, this is it! Starting off I must divulge that this post is part of a program called, "Charged and Ready", by Sony Electronics and Microsoft. 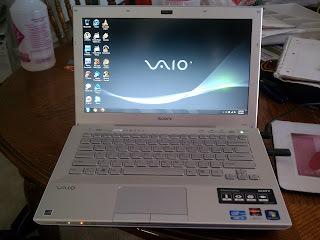 I, along with a few other college bloggers, were given a Sony VAIO-S series laptop to test and review. If you've read my previous "First Impressions" post, you know that along with the computer itself, I also received an extended sheet battery. 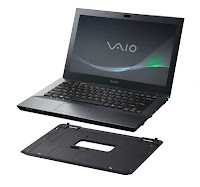 This extended sheet battery accessory connects onto the bottom of the laptop, supposedly giving it up to 15 hours of battery life. Naturally when I first heard this statement I thought it was a lofty estimate at best and really I wanted to put it to the test. After many long nights running this machine into the ground, the computer quickly dispelled any doubts I may have had regarding how long the battery would last (granted of course that battery life does depend heavily on what you are currently running on the it). Admittedly -- no, I did not channel my inner MythBuster and throw some scientific theory into the mix. But I can safely say that most all students will be able to go through an entire day of classes without every needing once think that dreaded phrase, "I really hope I brought my charger today". The design of the Laptop is slim, light and portable. Even with the sheet battery attached, the computer still remains quiet manageable in size and weight. Its slim design makes it an ideal fit in your everyday book bag or computer carrying bag without a problem. I carried it around at my work on several occasions with very little noticeable weight. And trust me, every little bit counts when you have to lug it around along with all your textbooks and binders for class. Being a true tech nerd, things like this always make me as giddy as a school girl. 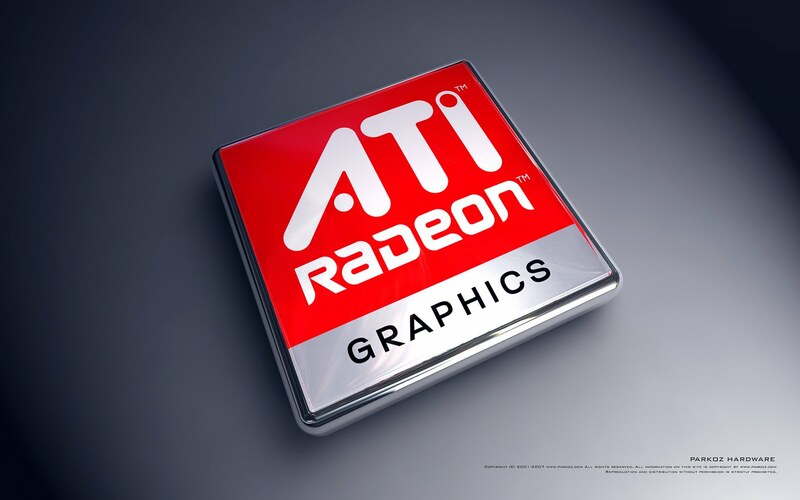 This computer has, what it calls "Hybrid Graphics", or simply the ability to switch between the already built-in Mobile Intel HD GPU to a more powerful AMD Radeon HD 6470M GPU. Doing so will make the graphics on the computer snappier and more defined, however it will consume more battery in the process. Honestly, although this feature worked great on most occasions, I did have some issues when switching back and forth from one GPU to the other. 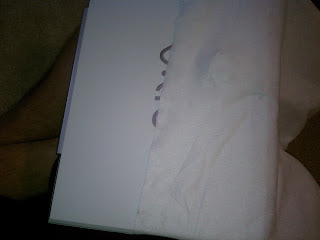 It would sometimes freeze during the process making me have to play around with it until I got it working again. I also found it strange that when playing certain games, the graphics would run better when switched to the regular Intel GPU rather than the AMD Radeon. Not sure if this was also due to an error brought on by myself, but it did happen on more than one occasion. These situations could very well be isolated incidents, because other than those few hiccups, the GPUs worked great. Oh boy, this where the nerd is going to really start coming out. Can you say, "Intel Core i5 processor?" The 2nd Generation Intel Core Processor's have taken over (and for good reason). New Macs and PCs alike are almost all featuring these great processors. Their speed and snappiness is just extraordinary -- which, of course, could come in hand when writing that paper you forgot about till the night before it's due. Googling the things you should have researched in the library weeks ago has never been easier. 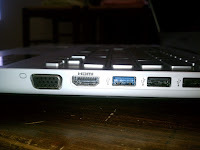 The HDMI Out on this computer intrigued me greatly from the from the start. "Why?," you ask? The rise of online Video On Demand of course. There are many services out there (Hulu, Netflix, YouTube, Amazon, etc. ), that stream their content online for consumption over internet. Basically, by being able to hook up your computer to your TV, you will essentially be able to get rid of that old cable box once and for all. I did have some trouble when I first hooking up my computer to my TV through the HDMI out -- none of which I blame on the hardware because with a little toying in the screen resolution settings I got it to fit and work perfectly. I’m just going to lay this one out there -- I have never used a PC trackpad that I liked (and this one was no different). The pad surface just felt cramped and unnatural to me -- almost like I was having to conform to the computer, instead of it conforming to me. So much so that I eventually gave up and resorted to using a mouse on most occasions (along with a lot of other Laptop PC users). Ok, I'll admit it, I'm a Mac person. 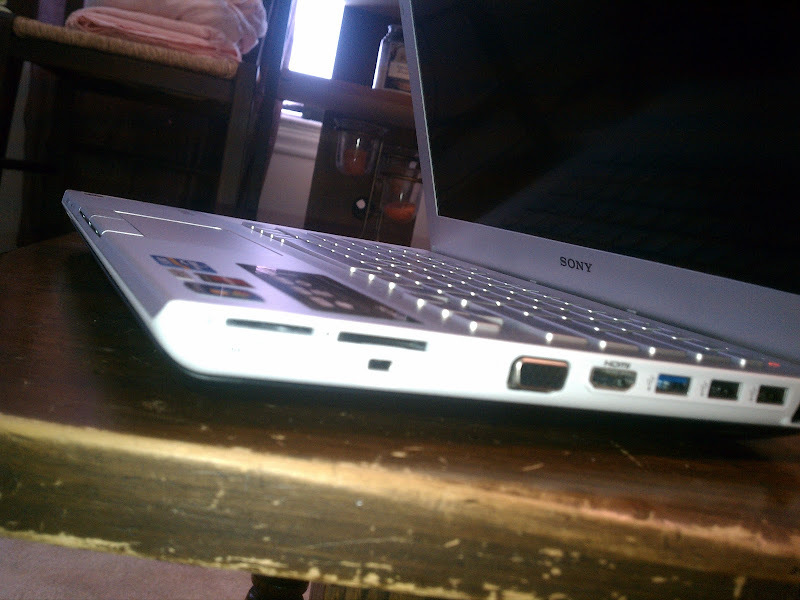 Ever since I got my MacBook four years ago I have rarely looked back (until now of course). Why? Because Windows is just too stinking complicated! I know this may offend some of you out there, but it's the truth. Honestly, every time I start using a Windows machine, 30 minutes in, I'm exhausted. Usually due in fact by just how complicating a small task like “changing the trackpad speed” can become. And though Windows has taken many strides forward to combat this issue, it still feels like a struggle to me on many occasions. I hate bloatware! Seriously! The act of getting a computer already filled up with stuff I didn’t put there infuriates me [as a nerd]. Just knowing that the operating system on my machine is already starting with something extraneous besides the operating system itself does not put my mind at ease. As you can hopefully tell, I have tried to be as completely honest with this post as I can. This of course without stepping on any toes in the process. 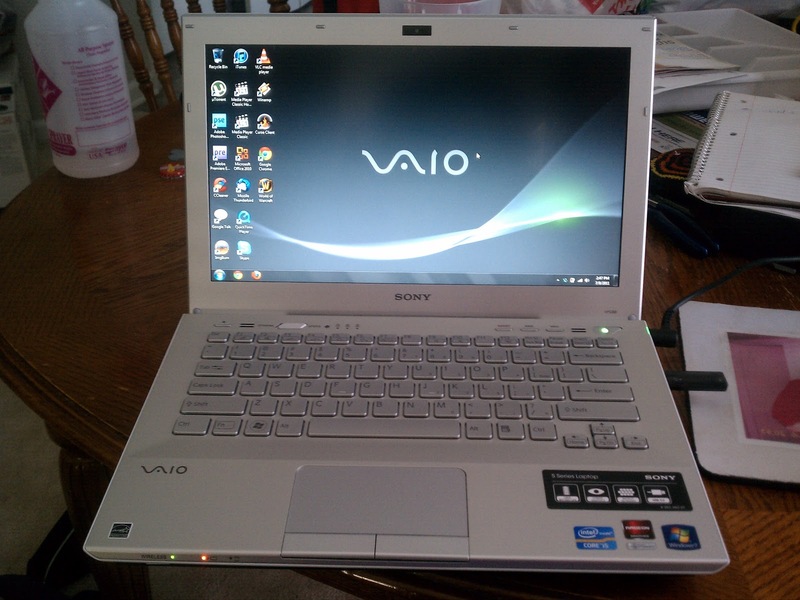 In conclusion I can confidently say that if you are in fact a "Windows User" and are looking for a new laptop with all the bells and whistles, this computer is a great place to start your search. It’s packed with lots of great hardware as well as the processing and computing power needed to help keep it from being outdated for many years to come. Now, even though this computer may not have changed me back into a dedicated PC user, I must admit, it has changed me a little. I find myself picking it up on numerous occasions since testing, and for a fanboy like me to put down his precious MacBook for any other computer is really saying something.